Experian Automotive compiles a wealth of data related to the EV market and Tesla sales. InsideEVs received official communication from Experian Automotive regarding its current EV insights following the recent Tesla earnings release and conference call. We'll be reaching out to the company for more data in the near future, but at this point in time we're sharing Experian's most intriguing information. According to Experian, EVs reached 0.9 percent of the overall vehicle market share in the U.S. at the end of the second quarter. While this number seems low, it proves that electric car adoption is exponential. In 2008, electric vehicle market share was zero, and by 2016 it was only at 0.5 percent. Keep in mind that since June, this figure has risen sharply, primarily due to Tesla Model 3 sales. It's also important to note that while Experian doesn't specifically point out that these number are for BEVs only, based on the information that was shared, it's clear that hybrid vehicles are not included. This is especially evident when looking at the company's further data, which only includes all-electric vehicles. 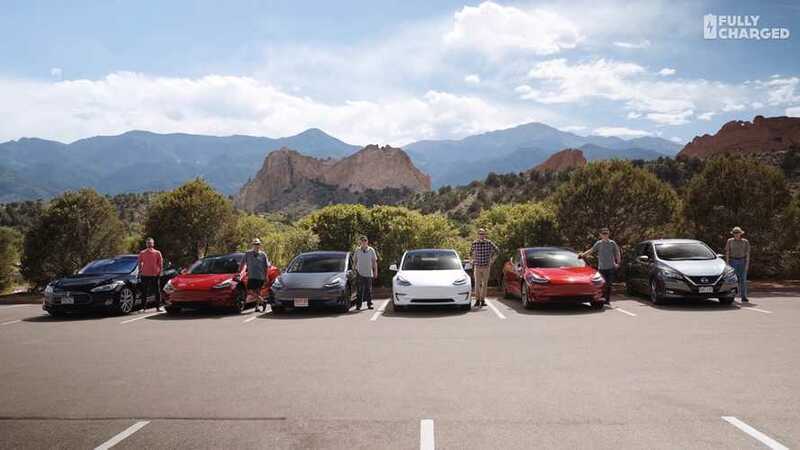 The report also reveals that Tesla has the highest level of make loyalty in the U.S. automotive industry, with 80.5 percent of owners returning to the brand. Also, 62 percent of electric vehicle owners remain loyal to the powertrain.